Billy Joe Saunders is a British amateur-turned-pro boxer and the current holder of the WBO middleweight title. He’s well known for his public rivalry with other boxers, as well as his sometimes controversial opinions. Who is Billy Joe Saunders, how old is he, when is his birthday, how tall is he, where is he from and what is his background? Billy Joe Saunders is the current WBO middleweight champion. He was born on August 30 1989, making him 28 years old. He’s 1.8 metres tall and was born in Welwyn Garden City. He comes from a Romany traveller background; his great-grandfather Absolom Beeney was a famous bareknuckle boxer in his community, so it seems he was always destined to step into the ring. 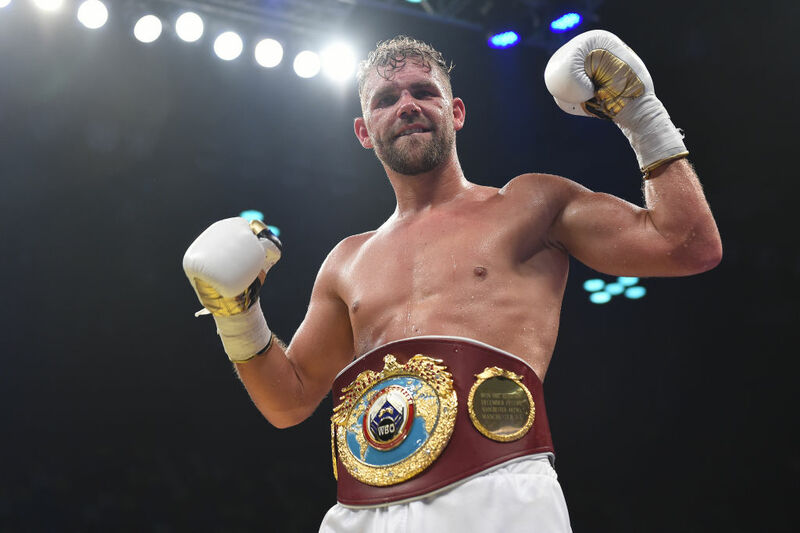 Saunders began fighting as a boy at Cheshunt Amateur Boxing club and at Hoddesdon Amateur Boxing Club, although in interviews, Saunders himself states he began bareknuckle fighting at a much younger age in his travelling community. Full of tricks this man in the middle ? Why is Billy Joe Saunders famous and what is his occupation? Billy Joe Saunders is a professional boxer. He started his career as an amateur, with wins at the commonwealth championships. At the age of 18, Saunders made history as the first person from his community to qualify to represent Great Britain in the Olympic Games, competing in the welterweight boxing category in Beijing. In late 2008, Saunders signed with boxing promoter Frank Warren to become professional, going on to win and defend British, European and WBO middleweight titles. In July 2017, The Ring magazine, BoxRec and the Transnational Boxing Rankings ranked Saunders as the world’s fifth best middleweight. Saunders has gained some notoriety over his controversial actions and opinions, such as lewd behaviour during the Beijing Olympics that had him suspended from boxing, and homophobic slurs against competitors. In July 2017, he was accused of bullying behaviour, after he posted a picture of a gender neutral shop worker, criticising their appearance. What is Billy Joe Saunders’ net worth? In September 2017, The Net Worth Portal estimated Saunders’ net worth at $1.7million. Can't wait to fight agin Nw ?? getting out the bed every morning as a king feels good ?? How much does Billy Joe Saunders earn? According to The Net Worth Portal, he earns an estimated $360,000 per year, from fight fees of $180,000 per match, and product endorsements. How much does Billy Joe Saunders weigh? As a middleweight Saunders weighs in at 160lbs for fights. Who has Billy Joe Saunders fought in boxing matches, has he ever fought Jamie Cox, how many fights has he won, what are his most famous fights? Billy Joe Saunders’ first professional fight was against Attila Molnar. Since then he has fought Andy Lee, Matthew Hall, Emanuele Blandamura and Artur Akavov among others. He has not faced British boxer Jamie Cox in the ring as yet. Of his 25 professional boxing matches, Saunders has won all 25, 12 of these by knockout. One of Saunders’ most famous fights was against Chris Eubank Jr, son of the famous former professional boxer, Chris Eubank. The fight was hotly anticipated, with a rivalry and build up likened to Eubank senior’s fight against Nigel Benn. Saunders won the fight by judges decision. Has Billy Joe Saunders retired, who is he fighting next, when is his next fight, where is he fighting next? Billy Joe Saunders has not retired from professional boxing. His next fight is against Canadian boxer David Lemieux on Saturday 16 December 2017. The fight is being held at Place Bell in Montreal in Lemieux’s home country. The tension and rivalry has been ramping up for months, with each fighter taking to Twitter to stir up a war of words before the fight. Is Billy Joe Saunders Irish, where is he from? He is not Irish. He grew up in a Romany travelling community near Hatfield in Hertfordshire, to whom he credits his early fighting experience. What division is Billy Joe Saunders? Saunders is in the middleweight division, which covers boxers who weigh up to a maximum of 160lbs. Does Billy Joe Saunders have any children? The boxer has two sons, Billy Joe Saunders Jr., and Steve Saunders. He attracted criticism online in June 2017 after posting a video to Twitter, showing one of his young sons driving a 4×4 around a private field. Is Billy Joe Saunders married, who has he dated in the past, was he married? Saunders is married. His past dating has been kept fairly quiet although in January 2016 a recording was released, reportedly of Saunders boasting about having had an affair with another man’s wife.